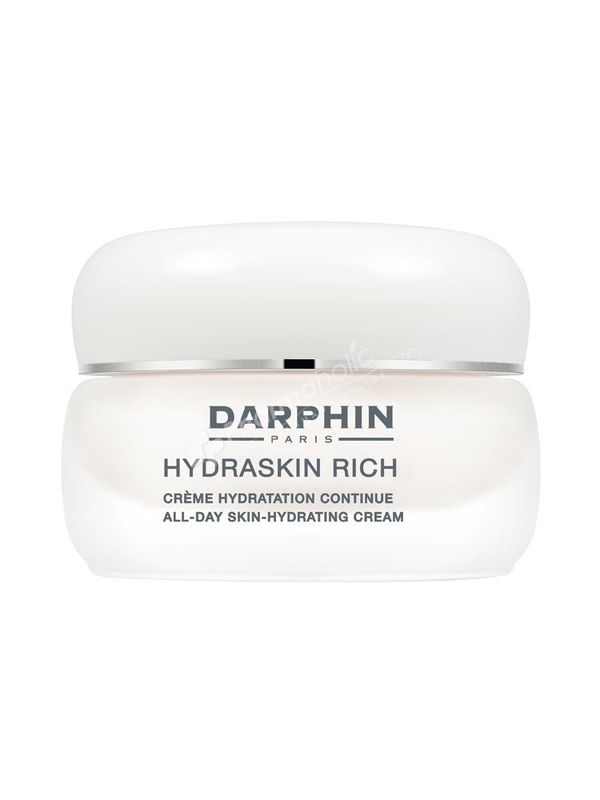 This gorgeous, velvety Darphin Hydraskin Rich Cream will help to replenish your skin’s moisture levels, keeping it smooth and supple. This gorgeous, velvety Darphin Hydraskin Rich Cream will help to replenish your skin’s moisture levels, keeping it smooth and supple. Using a brand new formula, your skin will feel peachy soft with a renewed feeling of comfort and elasticity.Containing a brand new formula containing mango & kiwi extracts and vital essence of mamaku, Darphin Hydraskin Rich Cream ensures your skin is left healthy, dewy-fresh with a radiant complexion. This velvety soft cream combat signs of dryness along with that uncomfortable feeling of ‘tightness’. It works to balance your skin to leave it soft and re-hydrated. Apply in the morning and evening after your appropriate serum.